Our goal is to connect people with the best local experts. We scored math tutors on more than 25 variables across five categories, and analysed the results to give you a hand-picked list of the best math tutors in Sacramento, CA. Academy Learning Centers provide Sacramento-area students with the tools and strategies to become successful in mathematics. The tutoring center specializes in working with students learning early math concepts through high school calculus. The team of highly trained tutors has extensive knowledge of local public and private schools and stands ready to help struggling students to overcome difficulties in math. Academy Learning Centers professionals utilize the latest effective learning methods and educational technologies to engage students for maximum improvement. Best Tutors Ever provides exceptional quality homework help and test preparation in mathematics. The Sacramento-area service specializes in helping students to overcome difficulties in math and reach academic goals. Friendly, caring individuals with a heart and knowledge for teaching have a genuine interest in the success of each student. Best Tutors Ever offers competitive rates for traveling to meet students at home or any location conducive to quiet study. Students can select either one-on-one sessions or small group tutoring to obtain support and learn effective study skills. Nurturing professionals at Best Tutors Ever strive to develop students into successful, independent learners. California Learning Center has been providing math tutoring using proven methods and strategies to succeed for more than 30 years. The Sacramento-area business specializes in serving students studying algebra through pre-calculus. A highly experienced team can motivate students to focus and overcome difficulties in mathematics. Only credentialed teachers serve as tutors and have a comprehensive grasp of math coupled with extensive teaching experience. The extremely low student-tutor ratio allows for more personalized attention during sessions. Professionals at the California Learning Center have a genuine care and sensitivity in interacting with youth. Students can expect to receive the highest level of assistance throughout every tutoring session. Caught in the Middle Math Tutoring has been providing expert tutoring services at affordable rates for nearly a decade. Highly qualified tutors are credentialed math teachers with many years of experience in helping students overcome obstacles in math and achieve academic success. Caught in the Middle Math Tutoring focuses on middle grade students needing extra guidance with math. Dedicated professionals can also can assist students in any grade level through pre-calculus. Students and tutors can meet at any public location that is conducive to quiet study. Club Z! provides exceptional quality individualized math instruction and tutoring for students at any level. The Sacramento-area business enjoys an A+ BBB rating and has been a leading tutoring and test preparation service for nearly 20 years. Club Z! specializes in delivering expert in-home tutoring services that help students become successful in math. Private, in-home tutoring enables students to feel safe, secure, and free from classroom distractions. 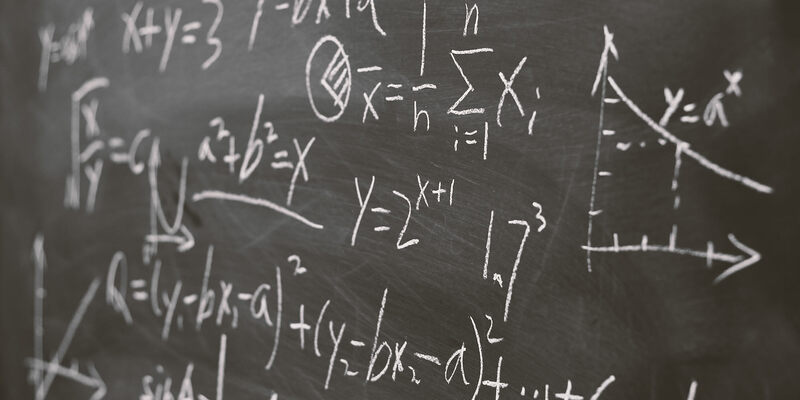 The team of highly qualified tutors has advanced math degrees or work in highly technical math-related fields. The dedicated professionals focus on teaching and tutoring math basics, algebra I and II, geometry, trigonometry, calculus, statistics, and accounting. EZ Tutoring provides Sacramento-area students with affordable individualized in-home tutoring. The expert tutoring service has been helping students to overcome difficulties and achieve success in math for nearly 15 years. A team of professional tutors delivers high quality service to meet the individual needs of students at every level if mathematics. EZ Tutoring employs highly qualified teachers, graduate students, and engineers for tutoring algebra, geometry, trigonometry, pre-calculus, calculus, statistics, and more. Tutoring sessions can be scheduled in-home or any location conducive to quiet study. Home Tutoring Plus provides Sacramento-area students with the opportunity to achieve academic success in mathematics. The professional tutoring business enjoys an A+ BBB rating and has more than 30 years of experience in the industry. Dedicated math professionals work with both children and adults to accelerate academic progress, raise grades, and improve self-esteem. Home Tutoring Plus specializes in working with students in basic math through calculus level classes. The business only employs teachers, former teachers, or professionals with experience in tutoring math. Home Tutoring Plus works with students of all ages and abilities from public, private, and homeschooling environments. Just Math Learning Centers provides students with proven strategies and tools to achieve success in math. The Sacramento-area center is a non-profit, after-school math program specializing in tutoring resources. Dedicated, highly qualified tutors assist struggling students at all levels of math education. The professional team of tutors hold degrees in mathematics and the natural sciences, and have a sincere interest in the success of each student. Just Math Learning Centers also focuses on study skills and test-taking strategies to master math classes in school. Students can expect to receive exceptional quality tutoring in quiet, semi-private individual offices. Math Masters Learning Center has helped students become successful in mathematics for more than 20 years. The Sacramento-area tutoring center specializes in working with students in grades two through 12. The mission of the business is to support students in understanding math taught in public and private schools. The dedicated staff consists of highly educated tutors with experience in every level of math including the new common core curriculum. Students can rely on Math Masters Learning Center to receive the highest level of support in math from elementary concepts through calculus. Professional tutors care about the success of each student and provide the tools to help meet any math challenge. Math Masters Learning Center strives to build student confidence and become successful in math. Mike and Terri’s Davis Tutoring Center has been providing expert support to students for over 20 years. The Sacramento-area center specializes in serving students in grades seven through college. The expert tutors have exceptional credentialing and advanced degrees in the areas of mathematics and science. Mike and Terri’s Davis Tutoring Center focuses on tutoring math subjects ranging from pre-algebra through calculus. Mobile Math Tutoring has been providing expert student support for more than 17 years. The Sacramento-area mathematics professional specializes in creating a learning connection with students to make difficult math fun and easy. He has a background in engineering and teaching within public as well as private school environments. The expert tutor focuses on remedying difficulties and equipping students with the tools and strategies to be successful in math. Mobile Math Tutoring covers a range of topics including pre-algebra, algebra, geometry, trigonometry, pre-calculus, calculus, and statistics. He can assist with homework, test preparation, and skill maintenance. Partners in Learning is a go-to resource for high-quality tutoring in the Sacramento area. The family owned center provides the highest level of attention and dedication to the success of each student. Expert tutors strive to give students every advantage with individual and small group sessions. Partners in Learning works to ensure students overcome challenges in math and achieve academic success. Scholars Tutoring Center provides Sacramento-area students with high-quality services to achieve success in math. The premier tutoring services offer individual, small group, and classroom settings. Expert and experienced tutors work with students to improve class performance and prepare for standardized tests. Scholars Tutoring Center commits to the success of every student and provides the highest level of attention during tutoring sessions. TCrane Tutoring provides affordable top-quality tutoring for students in the Sacramento area. The expert tutor has over 20 years of experience teaching in classrooms and tutoring students in mathematics. The supportive professional specializes in tutoring techniques and instruction that fill in learning gaps and ensure success for students of all ages. TCrane Tutoring helps eliminate road blocks in math, achieve higher grades, and improve learning ability using a range of methods to enhance existing strengths.